Since it is possible that some of you may not know what a “screen capture program” is, I'll start off by defining that program type. When you are working on your computer, the material you are working on/looking at, is displayed on your monitor screen, as a bunch of pixels. Often, it is nice to be able to “save” the info onscreen, or parts of it, for further uses. 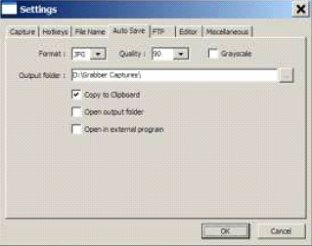 Windows does offer a “Print Screen” capability, to send info to the clipboard or printer, but as with many of Windows utilities, it's a pretty barren utility, with very few options. Fortunately, there are several 3rd party utilities out there, one of which I consider the best I've ever used. 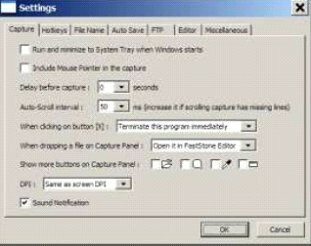 When I started using FastStone Capture in early 2007, it was still freeware, with a request to send in a “contribution”, if one liked it. I liked it so much, I sent off a contribution immediately, and received a very nice “Thank You”. Shortly after my contribution, it became a “paid for” utility. For $19.95, you get the program, and updates are free forever. There is a 30-day free trial period, during which you can use a fully functional version, to convince yourself that this is indeed a program that you want to keep using. The link to the FastStone site is: http://www.faststone.org/index.htm . While here, check out the other excellent programs, all of which are free, or click on the Download button for FastStone Capture to download it. The link to page for this program is: http://www.faststone.org/FSCaptureDetail.htm or just click on the “capture” program when you are on the first link noted above. Below, I've included some of the ways I use this screen capture program – which, by the way, I use just about every time I'm on my computer. Remember, this program can capture a wide variety of areas on your screen - see the listing below in one of the screen captured images. 1. Have you ever installed something where a variety of screens and dialog boxes came up, and had to be filled in with info for various options, etc.? Sometime later on - weeks, months, or even years, you need to know what info and options et al that you filled in. No problem - just save each screen and store the saved screens in a named folder. Then all that info is available at a moments notice. All you have to remember is where you stored it. And you can also print out each of the screens after saving them, and file those pages in a loose leaf notebook. 2. You have some digital photos that you'd like to send to someone in an e-mail. If you just “insert” the pix into the e-mail message as many people do, they may come out to a very large size - much larger than you wanted, or expected. There are of course a variety of ways to “resize” image files, but there is one that is pure simplicity. What I do is to display each picture file in a program such as Windows “Picture and Fax Viewer”, or the free Fastone Viewer offered on their site. Then adjust the size of the displayed image on the screen, to what you'd like the size to be in your e-mail. Then capture the image. When inserted into your e-mail it will be exactly the size that you captured, since it captures pixels, and monitors all have very similar pixels/inch. 3. You're on a web page, and there is something interesting that you want to save, but you don't want to print out the whole page. 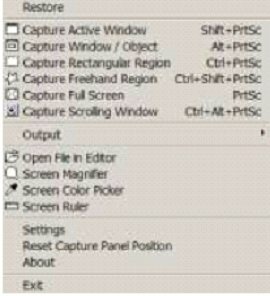 Just select the desired area using Fastone Capture, and save/print that area only. 4. You're watching a video on your TV, and there was an image of someone/something you wanted to capture. Just pause the video, and select the area you want in Fastone Capture. Your image is captured. Remember, screen captures are just pixels. The capture process doesn't care what created those pixels. Remember, this capture method saves things as an “image” (I use the jpg choice). It will not save text in editable form. If you want to do that, you must copy and paste into a text editor, such as Notepad. But, if you have a program such as “Omnipage” which is generally included when you buy a flatbed scanner, you can use it to convert a jpg image of text to an editable page of text. The images below are several of the screens and drop-down menus from Fastone. The choices available to the user are well thought out and very useful. Note all the various options for what can be chosen to get saved, and the hot keys for these choices.